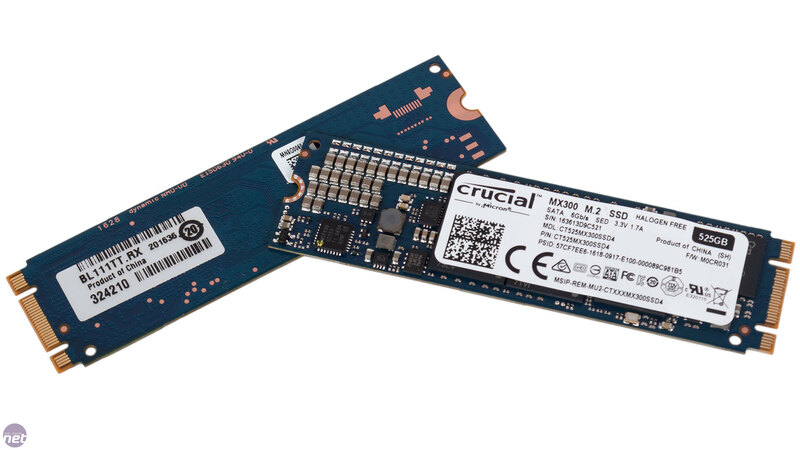 Crucial has some solid SSDs to its name, with the MX family in particular often winning favour with enthusiasts for its decent balance of price and performance. 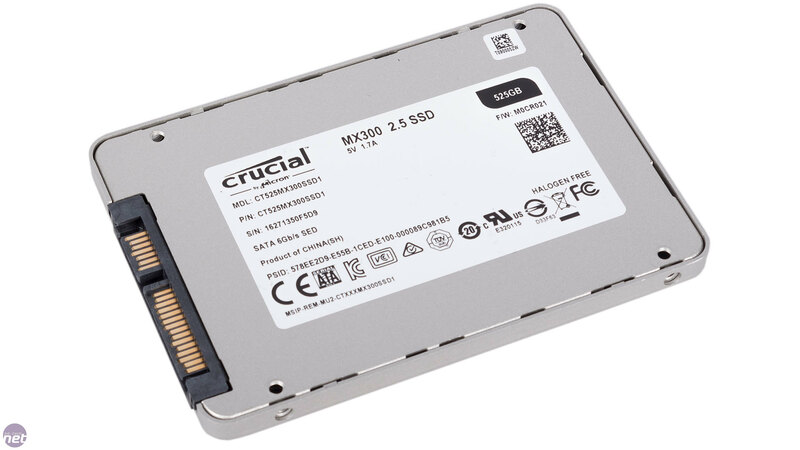 Today, we're looking at the latest model in this family, the MX300, in three different varieties: a standard 2.5in model (525GB) and two M.2 models (525GB and 1TB), all three of which having attractive pricing for their given capacities. Neither the 2.5in nor the M.2 drive is much to look at, and we would prefer a neutral black PCB on the M.2 one instead of the chosen blue. 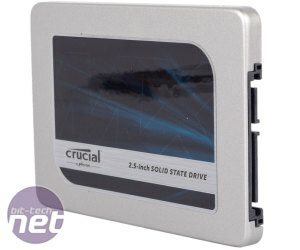 Two screws come with each M.2 model, while the 2.5in SSD comes with a spacer in case you're fitting its 7mm high chassis into a caddy designed for 9mm drives. 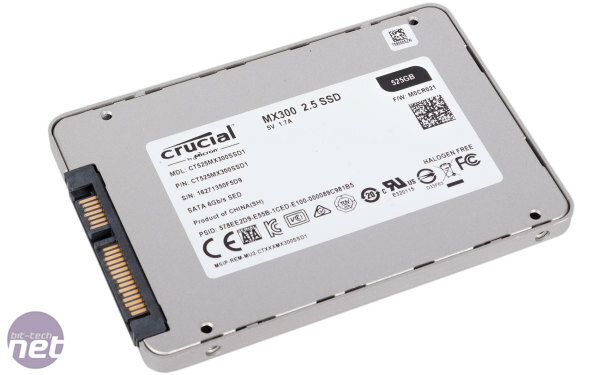 Crucial launched its MX300 family with a 750GB model, which is no longer available. 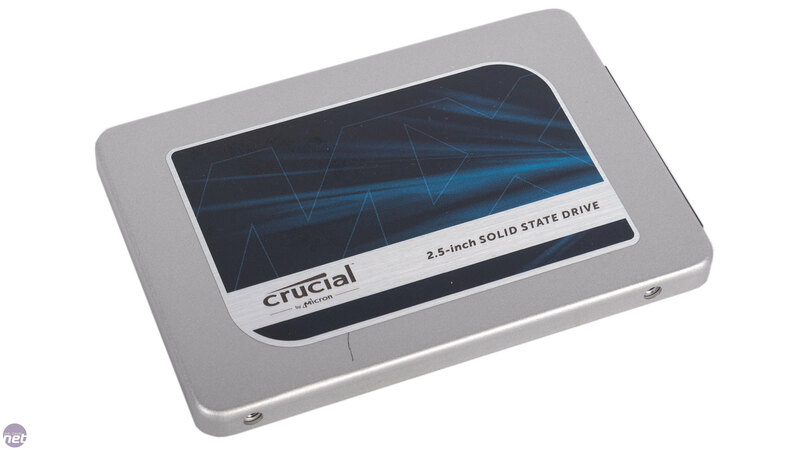 In terms of speed, everything looks pretty standard for a mainstream SSD family these days, with only the 275GB model having reduced performance on account of its lower capacity. The controller has changed from the MX200 days, having been upgraded to a newer Marvell model. The 88SS1074 is a four-channel controller, and the main reason for the change is so that it can support the new 3D NAND Crucial is using. In the 2.5in model, the controller is cooled via a small thermal pad which dissipates heat through the metal chassis, but the M.2 model is left uncooled. The controller also brings with it a modern feature set, including AES 256-bit encryption and TCG/Opal 2.0 compliance as well as the DEVSLP low-power mode. 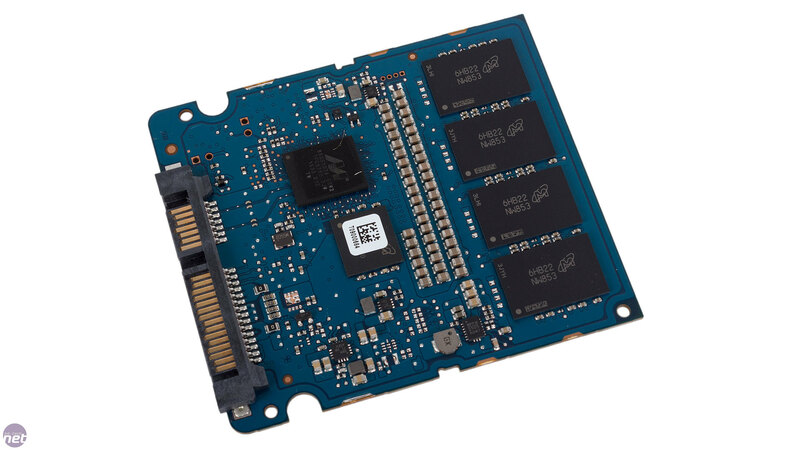 The SSD utilises the SATA 6Gbps interface regardless of form factor – M.2 users will need to check that their M.2 slot is not PCI-E only. 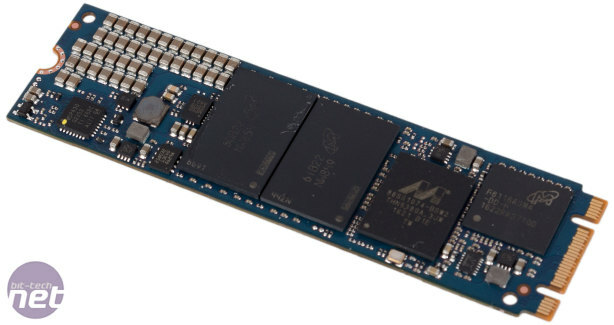 As mentioned, the big change over the MX200 is a shift to 3D NAND, specifically Intel and Micron's 32-layer TLC NAND, which is used here in 384Gbit (48GB) dies. 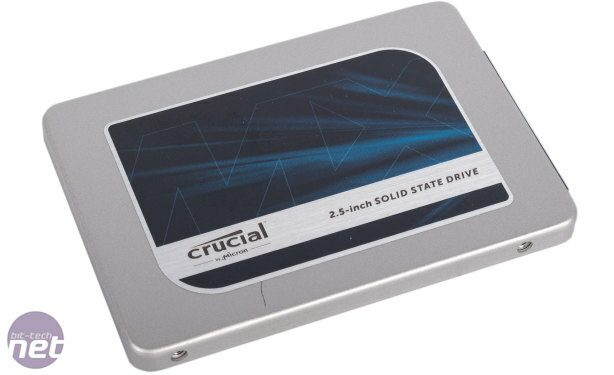 Crucial (the retail branch of Micron) was the second company to come out with a 3D NAND product, some way behind rival Samsung. The die size explains the deviation from power-of-two capacities (the 1TB model is actually 1,050GB), and means Crucial is using 12 dies in the 525GB drives and 24 in the 1TB model, and overprovisioning by roughly 9 percent to help with wear levelling, reducing write amplification, and ultimately endurance. 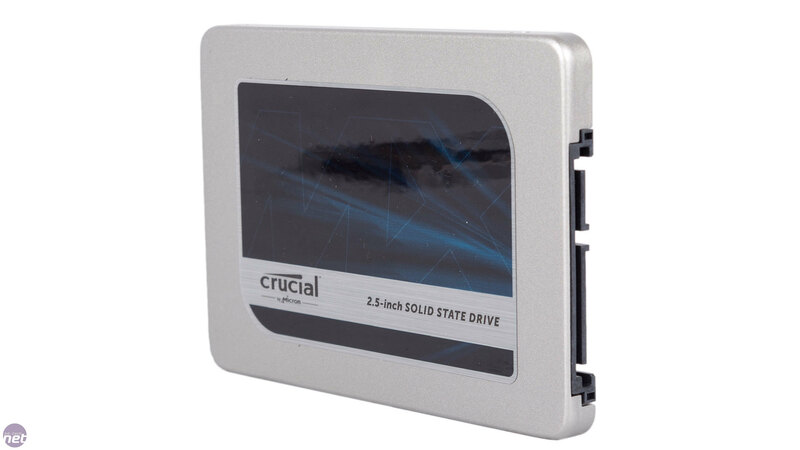 Impressively, Crucial has packed 12 dies into each of the two packages on the 1TB M.2 model, meaning it has avoided the need to go double-sided and potential reduce compatibility. TLC NAND, which stores 3 bits per cell, is slower (especially with write speeds) and less durable than MLC (2 bits per cell), but more cost-effective. 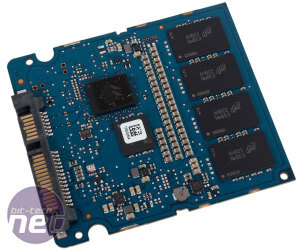 The move to a 3D NAND design helps on the endurance front, and Crucial has some decent figures here. Meanwhile, the company's Dynamic Write Acceleration technology is used to boost write speeds. 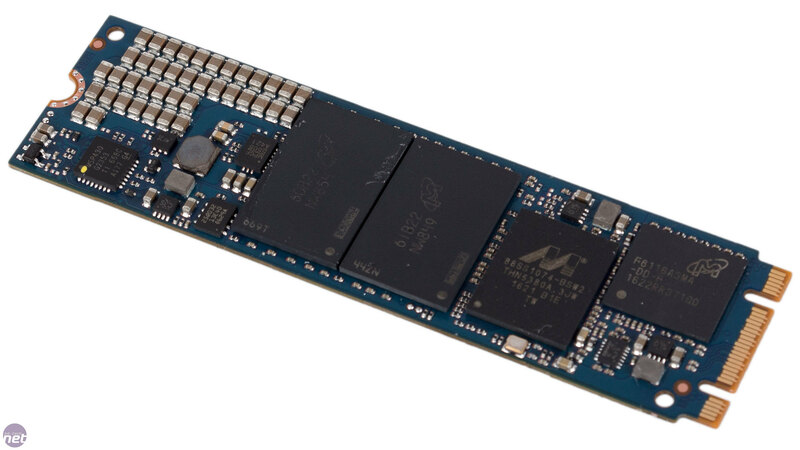 It works by treating a portion of the NAND as 1-bit-per-cell SLC NAND during write operations and condensing the written data to the TLC NAND properly during idle periods. Unlike competing technologies, the SLC pool has no fixed location or size. Instead, it is dynamic, changing as needed based on the amount of free space and drive activity. Persistent write operations with zero idle time (not the norm for everyday SSD use) will eventually deplete the SLC cache and force the drive to write directly to TLC. Crucial does not directly define the speeds for when this is occurs, and the speeds you see quoted are the peak speeds from SLC mode. However, it does say that Dynamic Write Acceleration is up to 5.6x faster, so going by the sequential write figure of 510MB/sec we get a figure of around 91MB/sec. 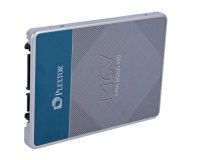 Protective features include partial power loss protection via a series of PCB-mounted capacitors. We say partial, as it only covers resting data. 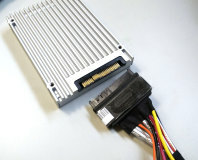 You also get adaptive thermal monitoring, which allows the drives to operate in hot environments without risking data. Crucial's Storage Executive software is used to monitor and manage your system drives, with extra options for Crucial ones. You can update firmware easily, for example, and it's generally a pretty nifty little suite.